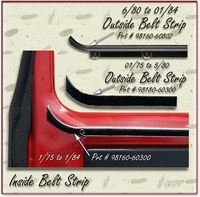 Inside Window "Beltstrip" Weather-strip ~ Polypropylene pile with chrome bead (18 1/8" long) fits between glass and lower inside window frame. One (1) inside Belt required per door. 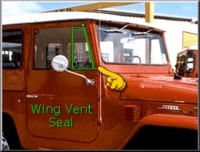 Inside belt weather-strip cushions glass, prevents rattles and serves as a weather seal. 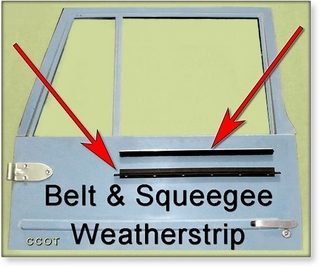 Outside Rubber "Squeegee" Style Weatherstrip. (Metal retainer strip not included). 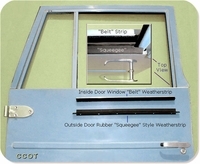 This is the "Squeegee" style outside weatherstrip that presses against exterior glass to deflect water from draining down and inside front doors.